This topic contains 0 replies, has 1 voice, and was last updated by Michael 1 year, 6 months ago. I was attracted to this book by its subtitle: A new old translation for Readers, Scholars, and Translators. Despite the words ‘Scholars’ and ‘Translators’ the book is an easy and compelling read. 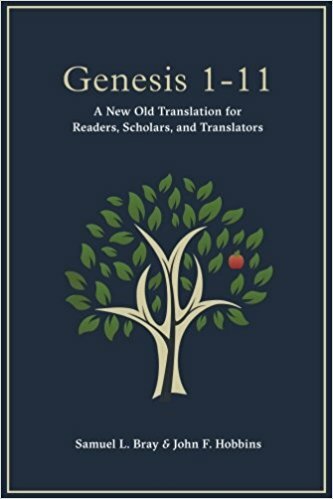 I loved the book particularly since the thinking behind the translation is directed toward recovering the meanings of the Genesis narratives as they would have been understood when they were written. Get this book if you can or request your library to buy it. This book, by Joel Hoffman, is a great introduction to the evolution of the Hebrew language. 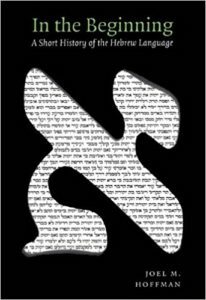 This not a Hebrew language textbook. Instead, it tells you how the Hebrew alphabet (called the aleph-bet) started, its adoption by many (most?) other languages in the world today, and some of the pitfalls in applying modern, western interpretations to ancient, mid-eastern writings – especially the Bible. Click here to read its description on Amazon. Alter, Robert. The Five Books of MOSES – A Translation with Commentary. New York, NY: W.W. Norton & Company, 2004. Aristotle. 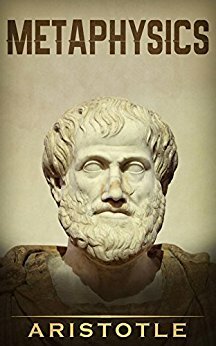 Aristotle’s Metaphysics. W. D. (translator) Ross. Mostly background reading. The ancient Greeks were of the same era as the ancient Hebrews and it’s interesting to compare the views of the two cultures. 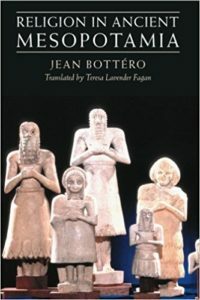 Bottero, J., Religion in Ancient Mesopotamia. Chicago: University of Chicago Press, 2004. 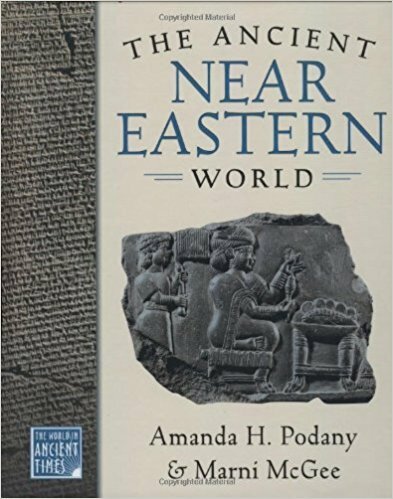 An absolutely amazing book if you want to read more about comparative religions of the Ancient Near East. Dr. Brettler was the scholar whose writings introduced me to the idea of the second creation story as one of immortality lost and procreativity gained. Very compelling. 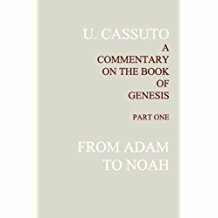 Cassuto, U., A Commentary on the Book of Genesis (Part I): from Adam to Noah (Volume I), Magnes Press, The Hebrew University, 2005. One of the pre-eminent Bible scholars of the 20th century. 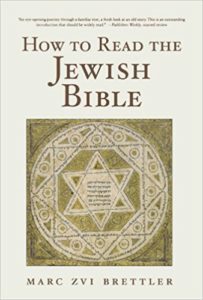 Among other topics, it is his treatment of the numerology of the first creation story that illustrates the remarkable literacy of these ancient writers. Coogan, Michael D., ed. The Oxford History of the Biblical World. New York, New York: Oxford University Press, 1998. If you are at all serious about learning more about the biblical world from which the Bible emerged, you can do no better than this book. Friedmann, Richard Elliott. 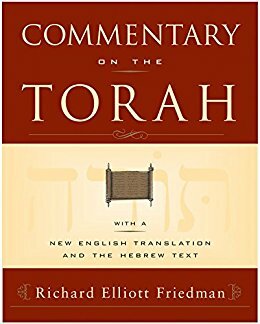 Commentary on the TORAH. HarperSanFrancisco, A Division of HarperCollins Publishers, 2001. My copy of Friedman’s book is falling apart, in part because it’s my go to book along with Nahum Sarna’s (see below). I’ll need to rebuy it this year. 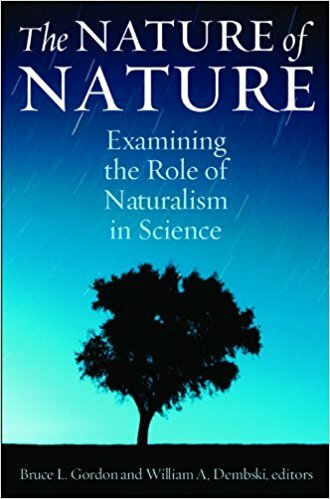 Gordon, Bruce L., and William A. Dembski, The Nature of Nature: Examining the Role of Naturalism in Science, Wilmington, Delaware: ISI Books, 2011. Hideously expensive, but the quintessential work on the intersection of science and religion. I debated recommending this book because (1) it’s very expensive and (2) very technical – if you don’t have a grasp of quantum mechanics then this book probably won’t be much value. But, we’re all adults here so if you are not put off by these two negatives, then it’s a great book. 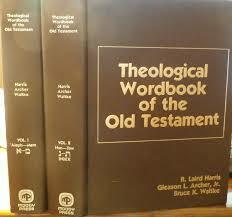 Harris, R. Laird, Gleason, Archer L. Jr, and Waltke, Bruce K. Theological Wordbook of the Old Testament, Moody Publishers, 2003. Below is an example of a typical entry. 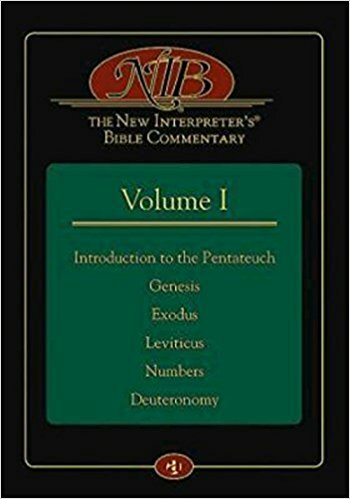 These volumes are meant for scholars and lay people with substantial knowledge of biblical Hebrew. I use the on-line version of this far and away more than any other reference. 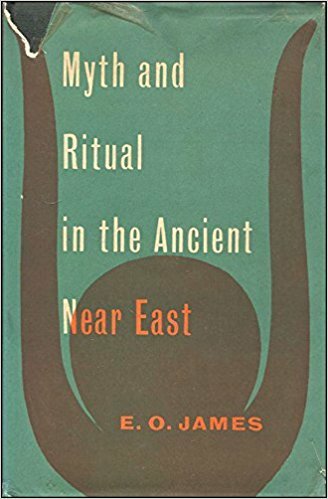 James, E. O., Myth and Ritual in the Ancient Near East: An Archeological and Documentary Study New York: Frederick A. Praeger, 1958. Prof. James has a chapter devoted to the comparison of the ancient Hebrew and Akkadian celebrations of the New Year. 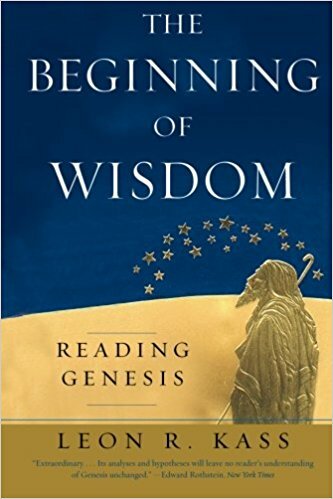 Kass, Leon R., The Beginning of Wisdom – Reading Genesis, Chicago, IL: The University of Chicago Press, 2003. A beautifully and artfully written book. Leon Kass is a physician and former head of the President’s bioethics council. 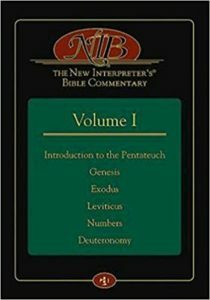 Keck, Leander E, ed.m The Interpreter’s Bible: The Books of Genesis, Exodus, and Leviticus, Vol. 1. 12 vols. Nashville, TN: Abingdon Press, 1994. Another very expensive reference work. 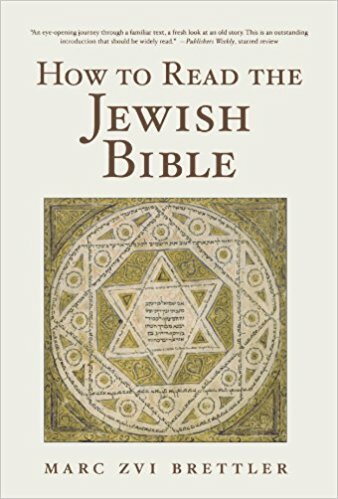 However, it’s one of the few references I’ve found that features the commentary of the early Jewish and Christian scholars. 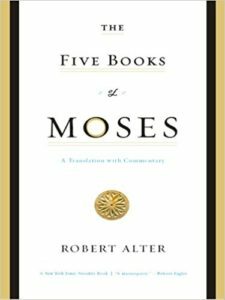 A great book if you care about how the people of biblical times interpreted the Bible. 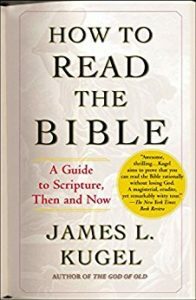 Kugel, James L., How to Read the Bible: A guide to Scripture, Then and Now, New York, NY 10020: Free Press, 2007. 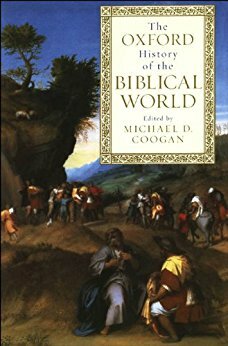 Another book that compares what the earliest scholars of the Bible thought with the thoughts of contemporary, Western scholars of today. Podany, Amanda H, and Marni McGee, The Ancient Near Eastern World, New York: Oxford University Press, 2005. A non-technical introduction to the cultures of the ANE. The content is not focused on religion, but on the cultures in which those religions arose. If you view this text as an introductory text of the sort that might be required for a freshman level course about the ANE, you wouldn’t be disappointed. Was my first introduction into this fascinating era. 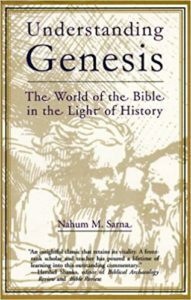 Sarna, Nahum M., Understanding Genesis – The World of the Bible in the Light of History, New York, NY: Schocken Books, 1970. 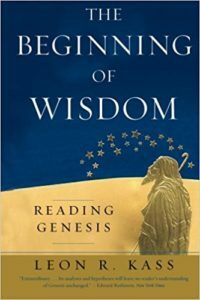 Background reading on how Genesis has effected the world and vice versa. From one of the most renowed Bible Scholars of the late twentieth century. 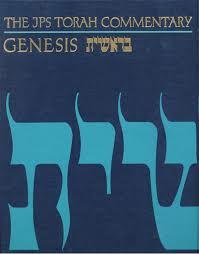 Sarna, Nuhum M., The JPS Torah Commentary – Genesis, Philadelphia, PA: The Jewish Publication Society, 1989. 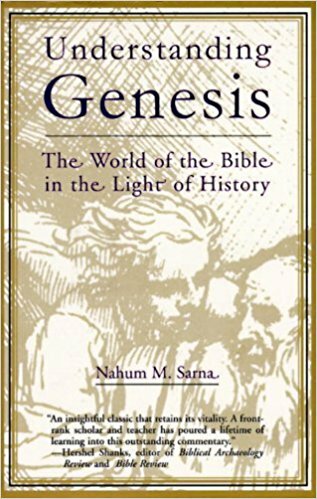 The quintessential commentary on Genesis by one of the most respected scholars in this field. Not only is Prof. Sarna skilled in translation but he has a writing style that is easily approached by the non-scholar. 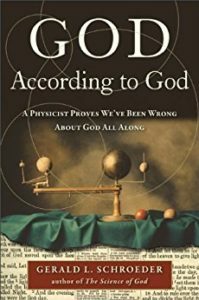 Schroeder, Gerald L., GOD According to God: A Scientist Discovers We’ve Been Wrong About God All Along, New York, NY: Free Press (Kindle Edition), 2009. A good, solid introduction to science and the Bible (especially creation) from a practicing particle physicist. He has a great description of how the author of the first creation story viewed the days of creation as events, not time periods. 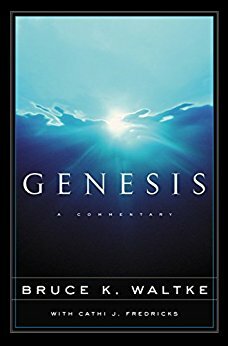 Waltke, Bruce K., Genesis: A Commentary, Grand Rapids: Zondervan, 2001. Yet another commentary from a well-known, Christian scholar. His commentaries are somewhat off-beat, but well within the mainstream of scholarly thought. 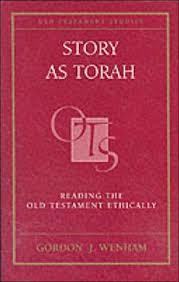 Wenham, Gordon J., Story as TORAH – Reading the Old Testament Narrative Ethically, Grand Rapids, MI: Baker Academic, 2000. 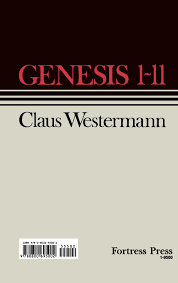 Prof Wenham reviews the Genesis creation story as high literature. His argument is that read this way, the narratives are not to be taken individually but that they are situtated in a common context. Good background reading. 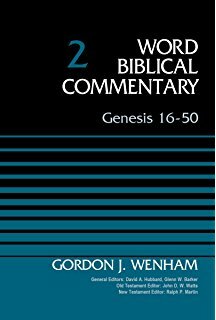 Wenham, Gordon J., Word Biblical Commentary: Genesis 1-15. Thomas Nelson, 1987. 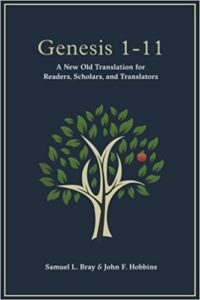 YAGC (Yet Another Genesis Commentary). 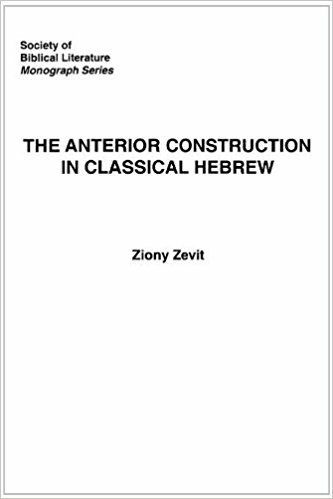 Zevit, Ziony., The Anterior Construction in Classical Hebrew, Atlanta, GA: Society of Biblical Literature, 2000. A classical paper describing the grammar rules for determining whether a verb is a past perfect (a.k.a. pluperfect). 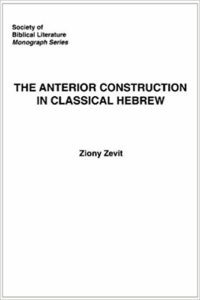 Very technical, but just a great example of how our understanding of biblical Hebrew advances … and is advancing. The forum ‘Instructor’s Notes – MOLLI, Autumn 2018’ is closed to new topics and replies.